Mild grey and brown tones with touches of rust, and light grey. 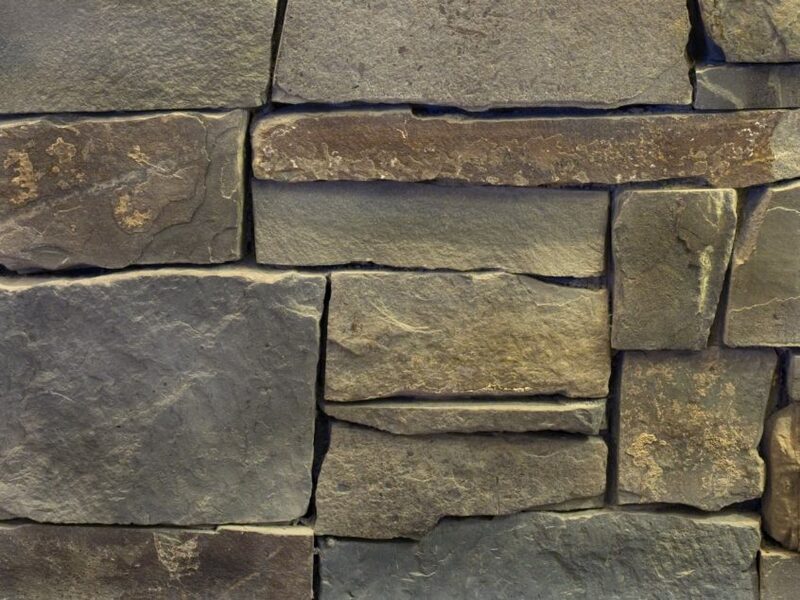 Our Highlands Ledge Stone is a striking natural stone veneer product with an energetic color palette that can enhance the interior or exterior design of almost any style home. Its mild grey and brown tones with touches of rust, and light grey complement many other finishes, including wood, concrete and brick. 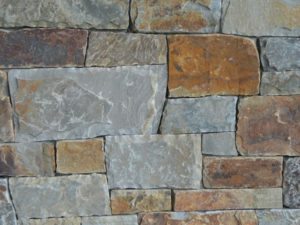 This material looks rugged, with many of the natural fissures and rough edges that you'd find in rock faces in nature. 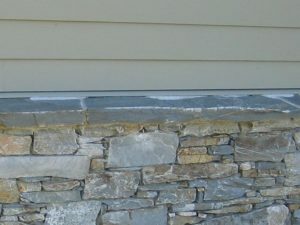 Its profile features the traditional ledge stone shape, roughly rectangular with clean top and bottom edges. Stone sizes range from 2" to 8" face heights and 3" to 18" lengths. 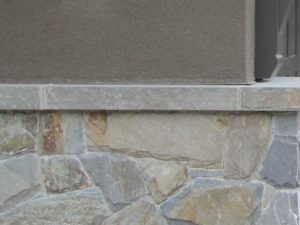 Used on exterior elevations, Highlands Ledge Stone adds bold texture to walls, eaves and entrance way features such as porches and porticoes. This product can be matched with complementary wainscot sills, capstones and 90-degree cut corner pieces to ensure a clean and tidy finish wherever it is applied. Landscaping designs around the property can utilize Highlands Ledge Stone to create distinct outdoor living spaces for cooking, lounging and entertaining. It looks great around an outdoor grill or fireplace, or on columns supporting a pergola or protective overhang. Use it for low retaining walls around planting beds and heritage trees. Indoors, Highlands Ledge Stone is the perfect material for creating a warm and welcoming ambiance in front foyers and living areas. Use it on a fireplace surround, extended to the ceiling for a sense of height, or corner to corner to create a dramatic feature wall. This product can also be used in bathrooms as a shower or feature wall, in rustic kitchens and for a host of other design applications. Bringing the organic beauty of the great outdoors into your home has never been easier. 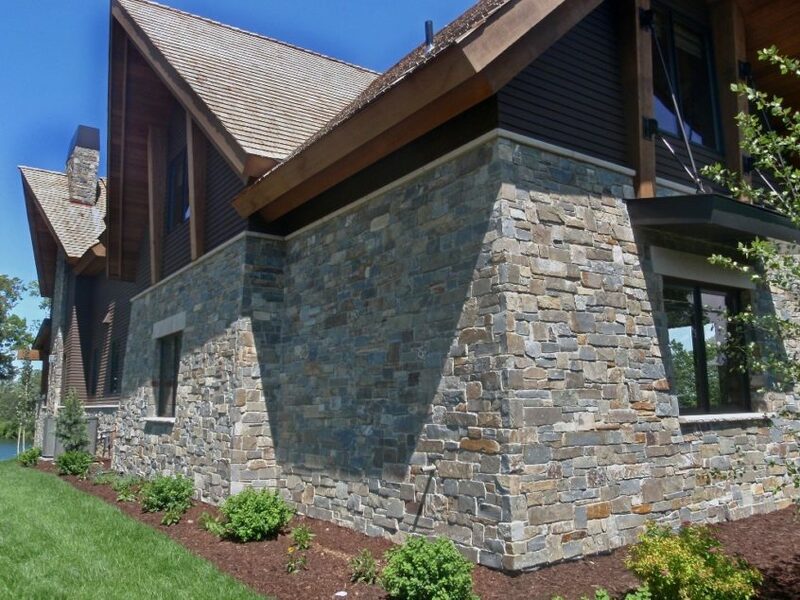 Products such as Highlands Ledge Stone natural veneer increase visual interest with a subtle interplay of texture and color. This can add priceless character to any architectural style home or building.